My mom named me Jennifer after Guinevere in Camelot. Somewhere in the movie he shortens Guinevere to Jenny, thus my name. THE SWORD IN THE STONE is the Disney rendition of the timeless romantic tale. Now watching it on Blu-Ray it is so much clearer and now I can share it with my boys as a brand new movie! 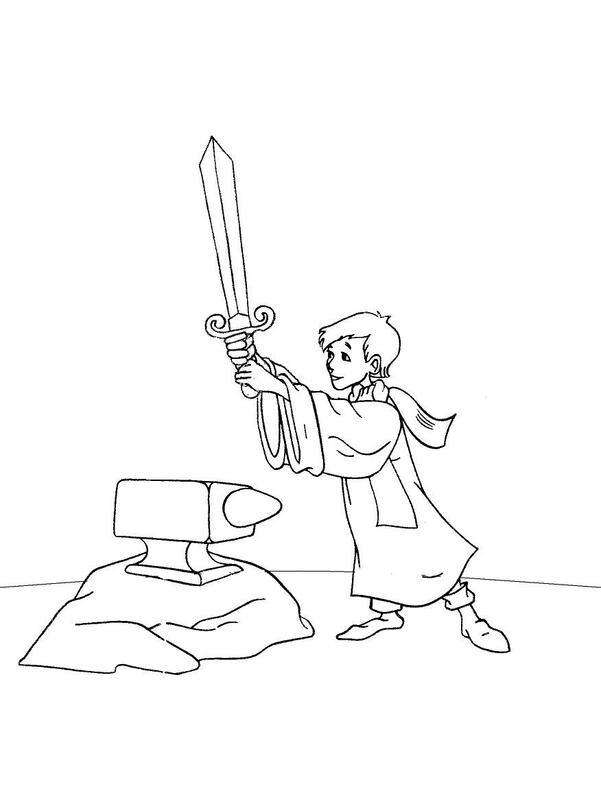 If you have never seen THE SWORD IN THE STONE, watch the clip below. Disney proudly presents the 50th anniversary edition of a spellbinding and beloved animated classic. Conjure up magical family fun with the humor, adventure and Academy Award®-nominated music (Best Score ­ Adaptation or Treatment, 1963) of The Sword In The Stone ­ now on Blu-ray Combo Pack for the first time ever! Take an amazing journey with a young orphan named ³Wart² and the extraordinary wizard Merlin. According to legend, only someone with the purest character and inner strength can pull the enchanted sword from the stone and claim the throne of England. Armed with newfound confidence and the power of friendship, Wart discovers his destiny and learns the best magic is the kind you find inside yourself! 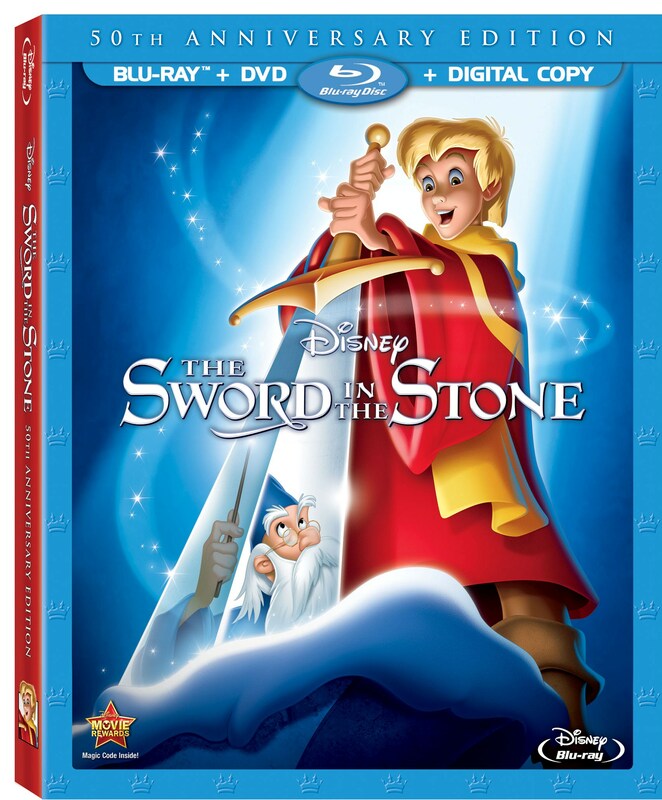 Humor, spectacle and magic rule in Walt Disney’s legendary classic tale The Sword In The Stone! Embark on an adventure-filled quest for an unlikely hero! According to legend, only someone with honor, decency and inner strength can claim the throne of England – by pulling out the enchanted sword that lies locked in a massive stone. Many brave knights have tried, so it seems impossible that a young apprentice known as Wart could succeed. But with the guidance of the wizard Merlin, help from some hilarious friends and true strength of character, Wart just might become England’s greatest king. What I think is the neatest about the re-releases is the bonus features. The bonus features found on this movie are a New Alternative Opening: Where Wart Meets Merlin plus all the original Classic DVD Release Bonus Features including Music and Magic: The Sherman Brothers, Sing-along with The Movie, All About Magic (excerpt), A Knight for a Day & Brave Little Tailor. To get your kids excited about the movie, you can download the printable below. Just click the image to get a printable size.